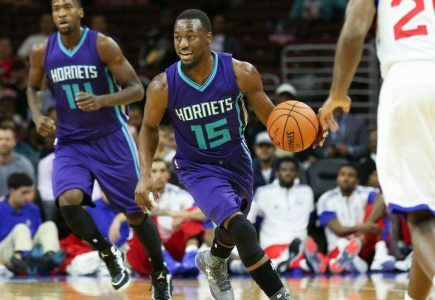 The Hornets have quietly won 4 straight and are starting to resemble the team most expected to see when the season started. I don’t think the public has quite caught on and they certainly aren’t going to back the Hornets after watching the Thunder win in San Antonio on Christmas Day. That however, is a big reason why I’m going against Oklahoma City. Not only are the Thunder playing in the 2nd game of a back-to-back set, but this is their 6th game in the last 9 days and will once again be without reigning MVP Kevin Durant. I look for Charlotte to be the more motivated and energized team and wouldn’t be shocked if they won this game outright. System – Home favorites that have allowed 100 or more points in 4 straight games against an opponent that has scored 100 or more points in 4 straight games are 19-49 (28%) ATS since 1996. BET THE HORNETS +6.5! AMAZING 38-15 (72%) Over L53 Bowl Selections dating back to the start of the 2012-13 bowl season! Steve Janus is a 2x Top 5 NCAAF Handicapper! Don’t miss out on a golden opportunity to build your bankroll on Friday with Steve’s 5* St Petersburg Bowl Blue Chip Top Play! This special off comes backed by a 72% SUPER SYSTEM, is yours for the low price of $35.95 and best of all is GUARANTEED TO PROFIT!